PRECISION FRAMING in DAYS, not months! BUILDING SERVICES for any project, start to finish. Better Faster Smarter. 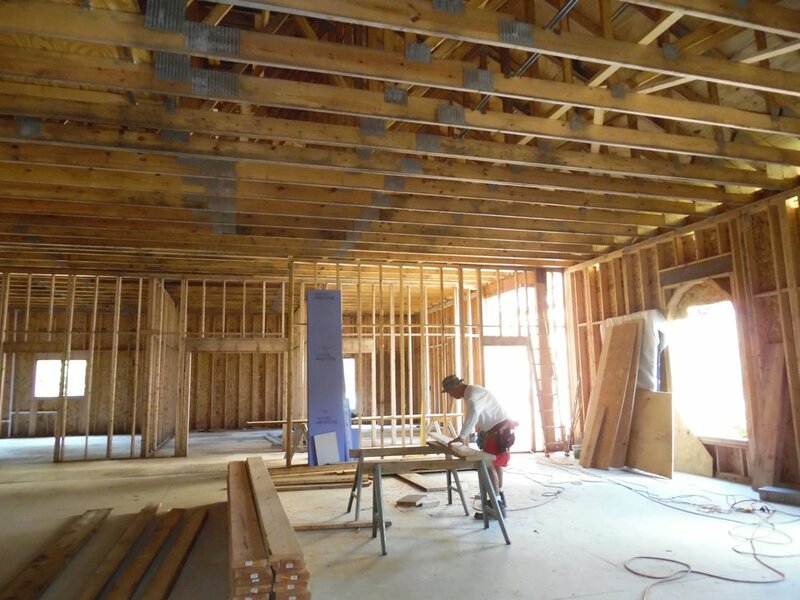 Today's engineering technology allows high quality, completely custom framing of your new home or commercial building, at blazing speeds using panelization. Barden Building Systems designs and builds key components of your structure off site, you can save time, money, and mistakes while ensuring the best quality products and building practices without sacrifice of design. A network of Barden independent dealers can assist you in building it yourself or with their help. Start to finish or any part there of. 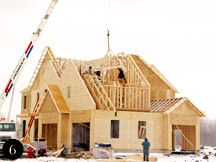 Many aspects of your job site will involve traditional building techniques but when it come time to "frame" you can have an entire house up in just days, closed in and weather tight in less than a few weeks. The 8 step Barden process for any project big or small. WEATHER delays can be a thing of the past. And work doesn't stop because the lumbar hasn't been delivered. State of the art facility to carefully calculating and cut with little waste saving you money! Do you want it done right or fast ? Barden is a pioneer in time management, quality custom construction techniques and green building practices long before the industry even coined those terms. Your new home’s panels can be engineered and fabricated in a state of the art facility in just a few days before being shipped to your home site. Once at the home site, the shell of a panelized home can be erected and made weather-tight in a matter of days. Delays due to weather, material delivery and subcontractor schedules — often unavoidable in stick-built construction — are much less a problem with panelized home construction. These potentially costly hold-ups are reduced or outright eliminated. Panelized building is an inherently green way to build, and is recognized in several green building certifications, including the ICC 700 National Green Building Standard. Factory assembly means reduced construction material waste, less jobsite disturbance, and easier cleanup. The precision construction of panelized homes makes them known for increased energy efficiency and lower heating and cooling costs. And since most panelized homes are weather-tight in a matter of days, your new home is kept safer and dryer, reducing the probability of warping, mold, mildew, and squeaking that adverse weather may cause in traditionally built homes. State-of-the-art technology produces panels that are engineered to the highest quality, ensuring your home is built precisely square and dimensionally correct. Additionally, each worker in a panelized facility has been trained to do a particular job and is an expert in that specialized aspect of home construction. Plus, your home’s panels are built to meet your local building code before they even leave the facility, even if your area requires special features for high winds, floods, or other considerations.